Here is another painting I did for Don Seegmiller’s workshop. 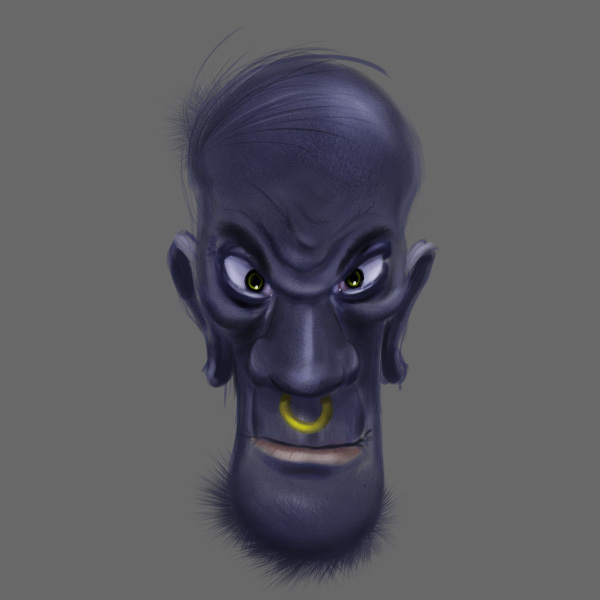 This painting stuff is a lot of fun, but it can be a bit frustrating at times… it’s tough to know when to stop noodling the painting. I suppose that is why you save often – that way you can back up to a previous version. There are also a hundred million different ways to approach a painting… light direction, paint quality, style, and the list goes on and on… I suppose that knowing what to do and when to do it comes with practice. 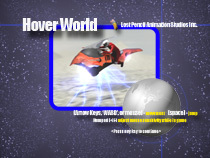 Oh, by the way, if you tried playing my Hover World mini-game that I uploaded (see below) and if you had trouble steering… just remember to tap the left and right turn – it’s a bit easier than holding those keys down for a length of time (also, I find using the mouse above ground is easier than below). So, did you find the tunnels? Did you find the ‘purple lizard dog’ in the cage in the tunnels? There are a bunch of things that I’d change on it now that it’s done (mainly in the control of the hover craft), but it’s a lesson learned and it’s time to move on to bigger and better things. It seems to run best on a GeForce 3 or better. Play with the game quality settings to get a good frame rate. Runs fine on my Dual Intel Mac on the Fantastic Setting using full screen mode. To play you can use mouse or ‘WASD’ or arrow keys to move around. SPACE to jump. Hit the waypoints and get a highscore. My best time is 2:59. If you can’t find a waypoint, it’s probably underground. Also, if you find the mouse not sensitive enough then while in the game click on the num keypad ‘+’ or ‘-’ to increase/decrease the sensitivity. And if you really don’t like the music you can also control the volume of the music in the main menu using the same keys. I used this as an opportunity to learn a bit about Unity and it’s my first 3d game. I built pretty much everything (including scripts and music). So if you hate the music, well you know where I am. It’s only one level, but it’s setting me up well for my real game. It was a great learning experience. Took me about 3 weeks and I created it ’straight ahead’ as an animator would say (basically not knowing what it would end up being or looking like as it was being built). Hopefully the next one, with a lot of planning, will be better. Maya and Unity totally rock! If you have any feedback it would be appreciated!